"Big Moon Hong Kong" is a site-specific video by Clea T. Waite. The work was commissioned by the Open Sky Gallery in Hong Kong for the ICC Tower LED façade as part of the International Symposium on Electronic Art (ISEA), May, 2016. "Big Moon Hong Kong" evokes the power, presence, and emotional gravity our Moon commands, a tangible Moon unfolding within Hong Kong's skyline. Created from actual lunar photographs, this piece includes views we can’t ever see from Earth, vistas seen only by probes and the astronauts – and perhaps the greater galaxy. The ICC is the tallest building in Hong Kong and the largest screen in the world. The ICC rises 490 meters above sea level at 118 stories. The building façade is comprised of 77,000 square meters of LED’s. Films based on comic books have existed since the beginning of film history, but they have never been as popular as comic book films in recent years. Often though, these comic book adaptations are disappointing for film buffs and nearly a failure for comic fans. But why is that? A seemingly insurmountable problem in the adaptation of a comic for the cinema is the translation of visual composition, the architecture of a comic's page, and thus the narrative structure specific to the comic storytelling. 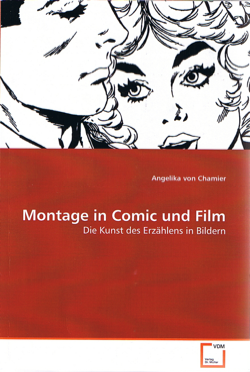 In this book, the visual narrative forms of film and comic will be examined more closely. The stylistic affinities, similarities, and differences between comic-specific and film-specific montage and editing techniques are discussed using examples from three comic book film adaptations.